Welcome to AfTLD Membership ! 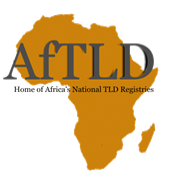 AfTLD membership is opened to all ccTLD operators in the Africa Region and associate membership to all organizations who qualify in line with Section 9 of the AfTLD Constitution. Associate membership of the association may be given to any individual, organisation or corporate body that operates an internet domain registry or in the Internet space and the General Assembly considers that AfTLD would benefit from such bodies or organisations having Membership of AfTLD. 8.1 Admission as a Full Member shall be open to organisations to which the management of an ISO 3166 country code Top Level Domain has been delegated by ICANN/IANA or a successor-in-title organization, and that operates under the law of the country for which the Top-Level Domain is being managed. In either case, the delegation must confirmable from the records kept by ICANN/IANA. 8.2 An organisation shall cease to be a member if it no longer meets the requirement of 8.1. Such an organisation may apply to be an associate member or observer. (b) any other individual, corporate body or other organisation who or which manages an Internet Top Level Internet Domain Registry. (c) any other individual, corporate body or other organisation who or which plays a role in the governance, regulation or management of the Internet or the Internet domain name system. 9.2 Associate Membership or Observership shall not continue indefinitely but shall continue for a term to be decided by the General Assembly. Upon expiry of the term the Associate Member or Observer may apply for re-admission for another term, provided that the Executive Committee may extend a term of Associate Membership or Observership subject to the approval of the General Assembly. 9.3 Observer status may be given to corporate bodies or individuals representing such bodies if, at its sole discretion, the General Assembly considers that the Company would benefit from such bodies or individuals having Observer status. No person or corporate body shall be appointed as an Observer who qualifies to be a Full Member.